So I am going to be doing some catch up on these Sketchbox Unboxings. The main reason that I have fallen behind is that we recently bought a house and we had a month of searching, a month of packing and a month of moving in and unpacking. Now I am trying my best to catch up on all these boxes. So August through October will be late and November’s will be this month. So here we are in October. Every month, I receive a Sketchbox. This month, I have the premium box for $35 plus $5 shipping. The basic box is $25 plus $5 shipping. When you look at all the products inside, they all retail for around this. 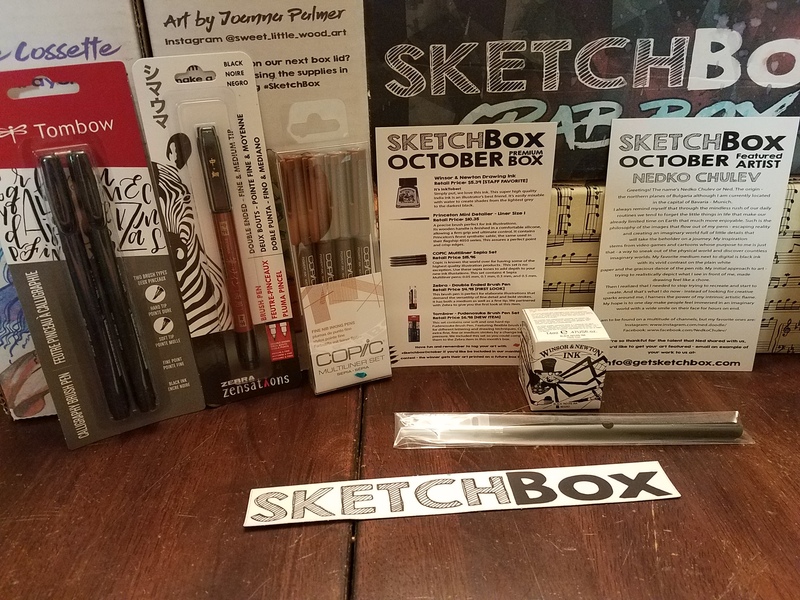 Now there are things that come every month, this includes; Sketchbox Sticker, Artist of the month box, Artist of the month tile, and a product description card. I will go through each of these items in detail below so that you can see what you get for the price. So, what do you get in this months box? Sometimes you get more than $40 and other times you may get just under. In this months box, we received more than $40 worth of product. This month is InkTober. Well, let’s take a look below! 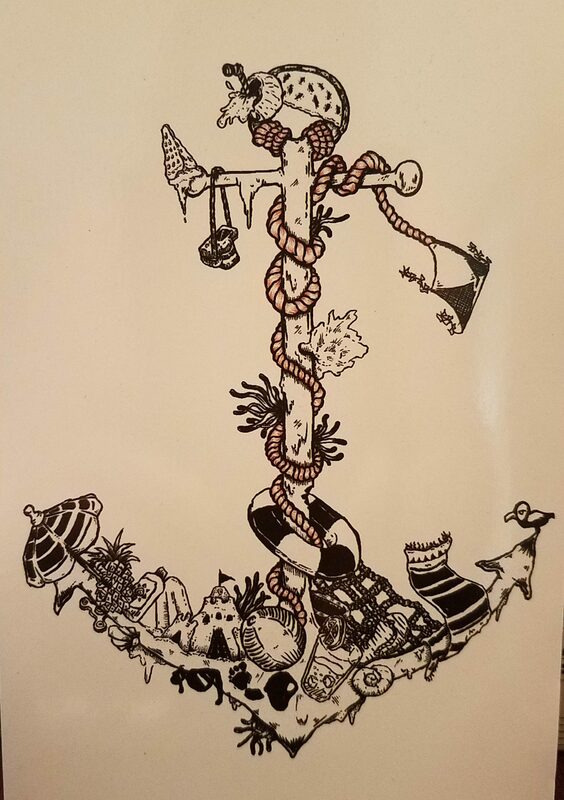 Simply put, we love this ink. 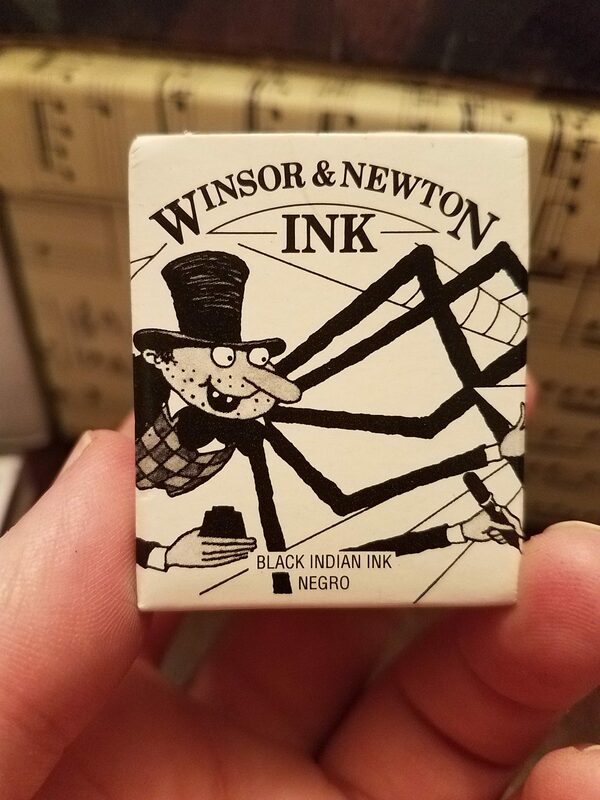 This super high quality India ink is an illustrator’s best friend. It’s easily mixable with water to create shades from the lightest grey to the darkest black. A precise brush perfect for ink illustrations. Its wooden handle is finished in a comfortable silicone, allowing a firm grip and ultimate control. It contains Princeton’s finest synthetic sable, the same used in their flagship 4050 series. This assures a perfect point and crisp edges. Copic is known the world over for having some of the highest quality illustration products. This set is no exception. Use these sepia tones to add depth to your new ink illustrations. 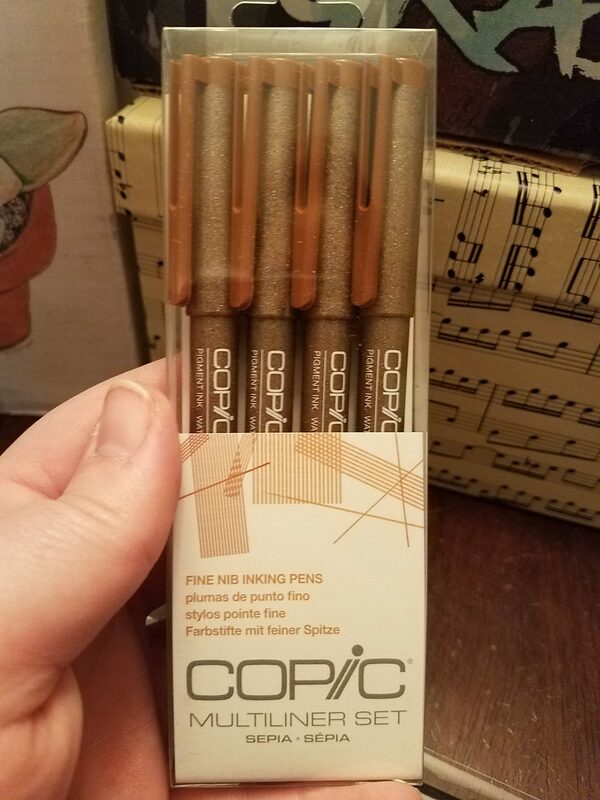 This set contains 4 sepia Multiliner pens: 0.05mm, 0.1mm, 0.3mm and 0.5mm. This brush pen is perfect for elaborate illustrations that demand the versatility of fine detail and bold strokes. It has both a medium as well as a fine tip. We partnered with Zebra to give you the first look at this item. This set contains one soft and one hard tip Fudenosuke Brush Pen. 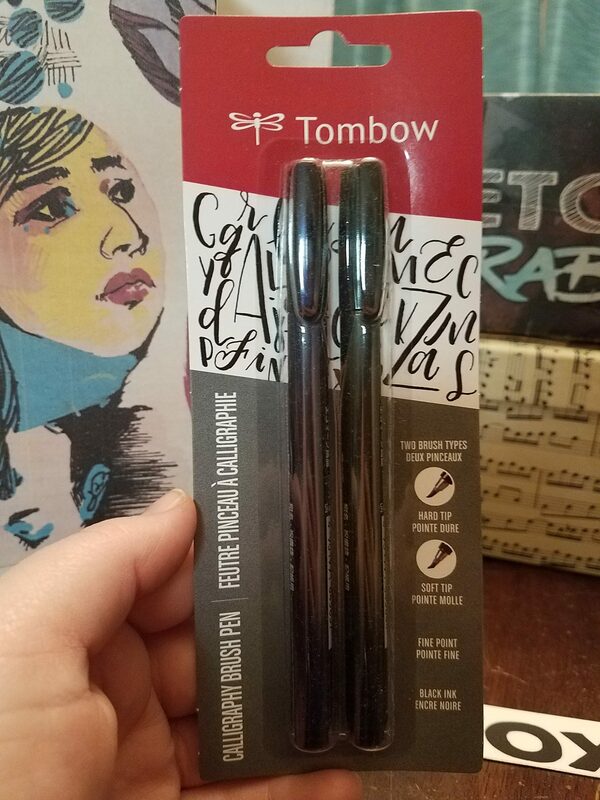 Featuring flexible brush tip for different lettering and drawing techniques. Create extra-fine, fine or medium strokes by a change in brush pressure. We included this set so you could compare them to the Zebra item in this month’s box. All in all, this box introduces me to a lot of products I haven’t used before but they are definitely products that I am eager to use. If you would like to get your hands on this sketchbox, or any in the future, please use this link so that I can get a credit to use towards next month’s box.